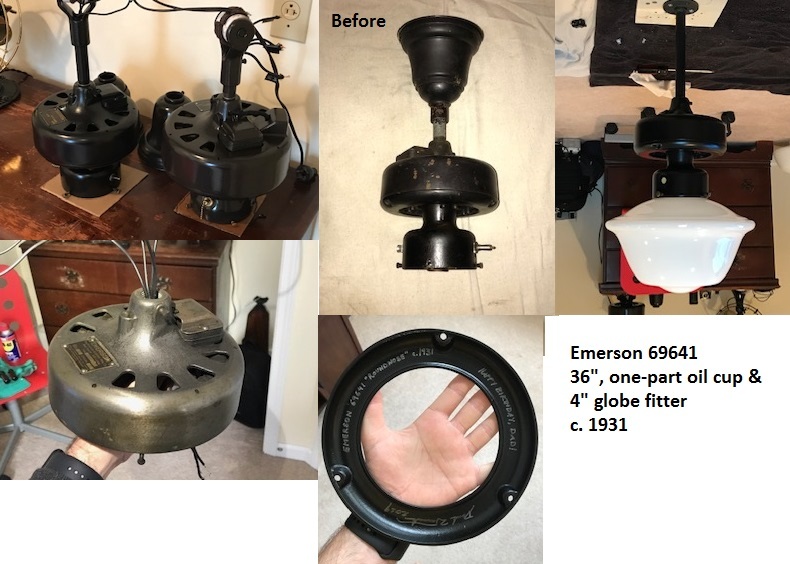 I just wrapped up yet another Emerson ceiling fan restoration - a c. 1931 Emerson 69641 "Baby Roundnose" w/ a fixed 4" globe fitter. 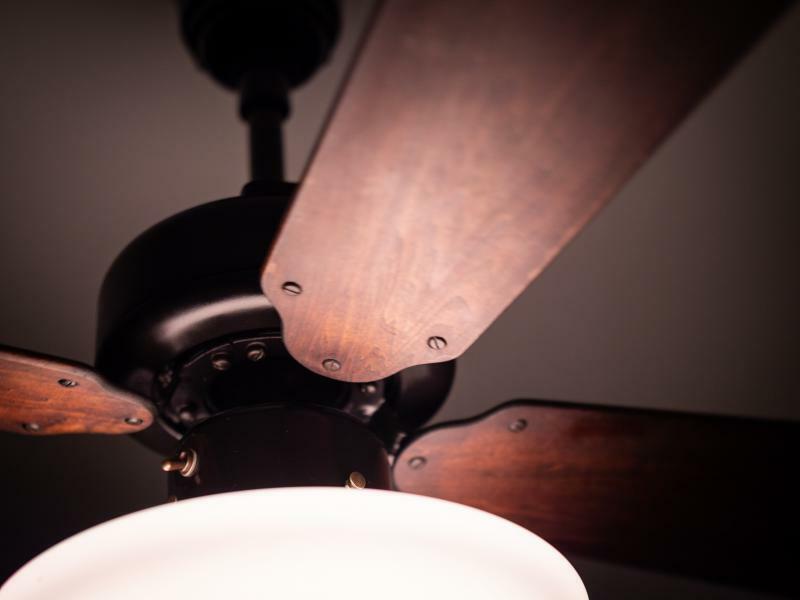 This fan was originally installed in the Medical Arts building in Hot Springs, Arkansas, along with many more just like it. It appears to have been rewired at some point. I gave it a full strip, prime, paint (Rustoleum Satin Black) and clear coat (Rustoleum Satin Clear Enamel). It's a very smooth runner (1:20 rotor spindown time), and I've modified it by wiring in a 7.5uF capacitor in lieu of using the speed coil to give it a "real" low of about 120 rpm. This fan will be hung in my dad's study back in Texas. Looking forward to hanging it in April when I make my next trip back. Installed and running well. Unfortunately, the 8.5 uF capacitor that gave it a good running low speed wouldn’t reliably allow it to start on low, so I wired the factory speed coil low speed back in which is barely slower than high. 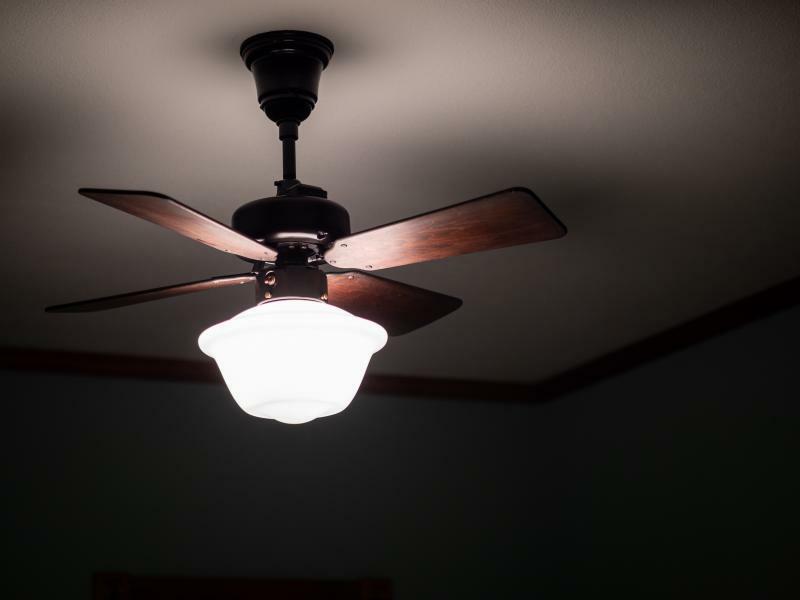 Still, it’s perfectly balanced and moves a lot of air. A great addition to my dad’s study, and he really likes it. Page processed in 0.1741 seconds (30% database + 70% PHP). 27 queries executed.